Well, unfortunately, we didn’t make to the next round of the Foodbuzz blogger challenge. While it would have been fun to make it all the way to the end and win $10k, I am not quite sure where I would have found the time. As you can see from the frequency of our posts, we are not the best at getting around to blogging. 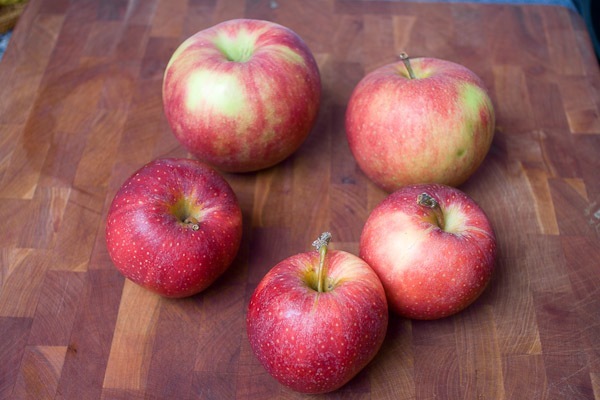 I still have a couple of recipes I promised to share from the last challenge…starting with this great recipe for an apple tart.Â It is simple but has spectacular results. 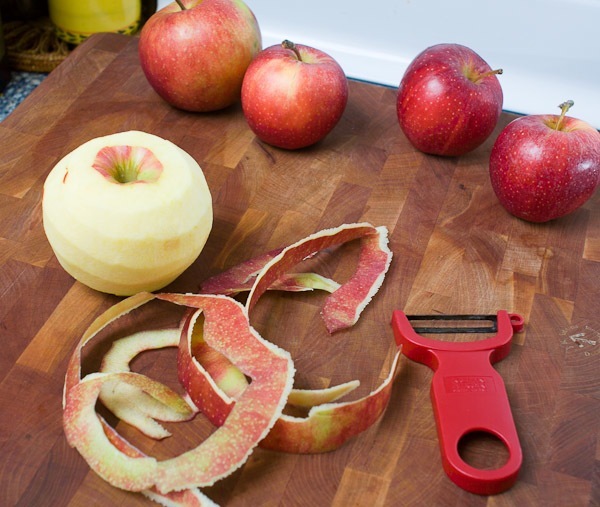 Instead of using a cooked pie filling, you simply use sliced apples. 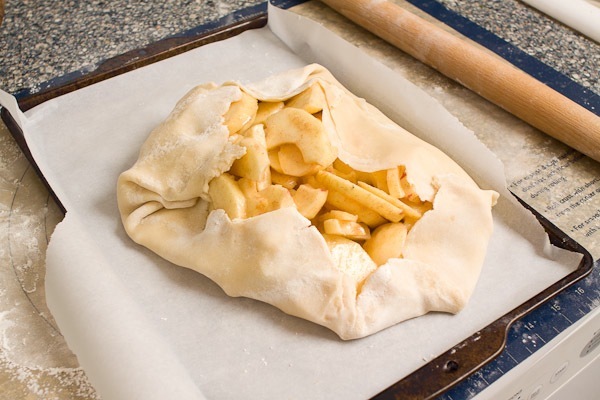 Also no pie tin is needed, you simply cook it “free form,” giving this galette a nice rustic look. One of the reasons I went with this recipe is that it is really easy to break out into separate steps. 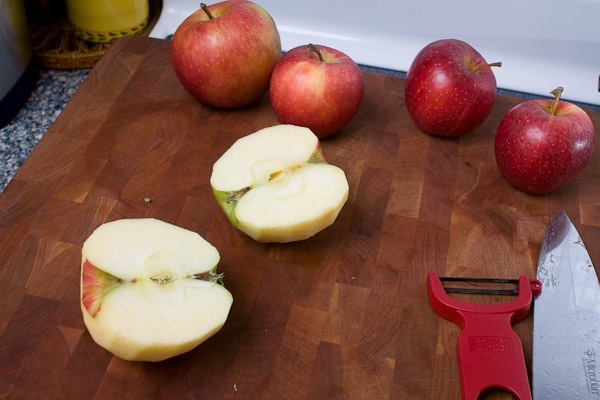 Slicing the apples, making the dough, assembling it, and baking can all be done separately. This is great when you are trying to squeeze in some baking in between your kid’s naps. Peel and core the apples. (A melon baller works great for coring.) 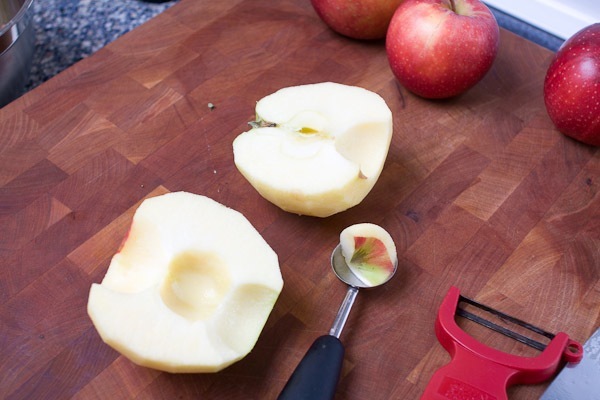 Slice into 1/4″ slices. Toss the slices with the sugar, nutmeg, cinnamon, and 1 tablespoon flour. Set aside. Clear a large space on your counter. (Use a pastry board or mat if you have one.) Sprinkle with flour. Line a baking sheet with parchment paper. Place 1 1/4 cups flour and salt in a food processor and pulse to combine. Add the butter and pulse until the butter pieces are about the size of peas. 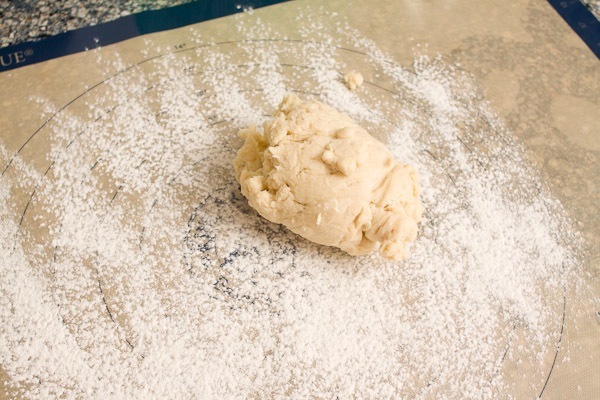 Dump the flour/butter mixture onto the area of the counter you dusted with flour. Gather it all up and press it into a disk. 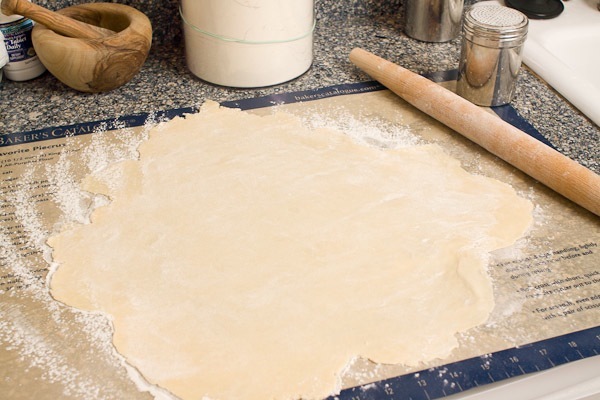 Roll the dough into a large circle. Add flour to the top and bottom as you to go to make sure it doesn’t stick. 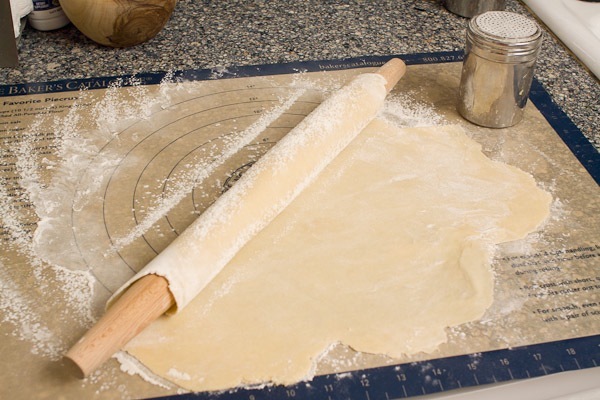 Try to roll the dough out evenly until it is 1/8″ thick. If it tears, simply patch it back together and roll it smooth. You should now have a large circle. 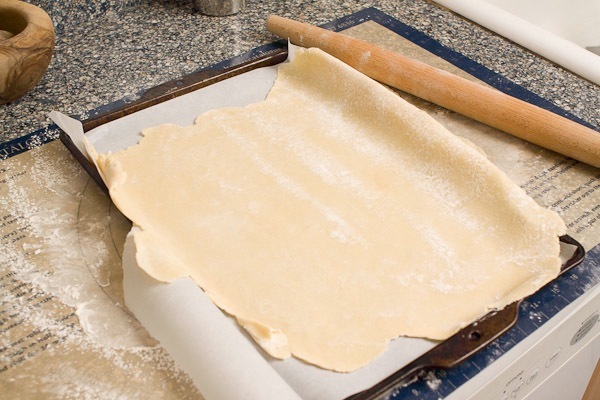 Use the rolling pin, roll the sheet of dough up around it. Transfer it to the sheet pan and unroll it so that it is centered. It should overlap the sides of the pan. Pour the apple mixture onto the center of the pan and spread it out a little. 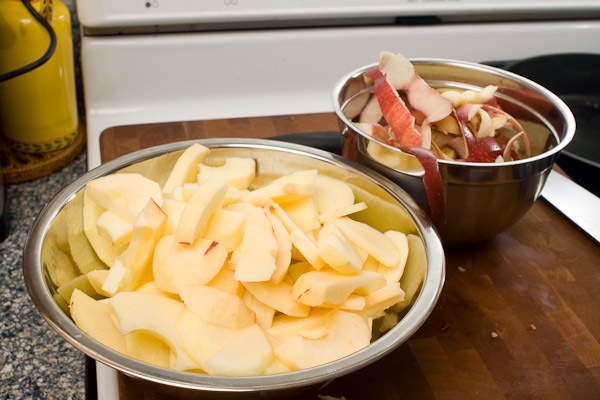 Add some bonus pieces of butter to the apples. 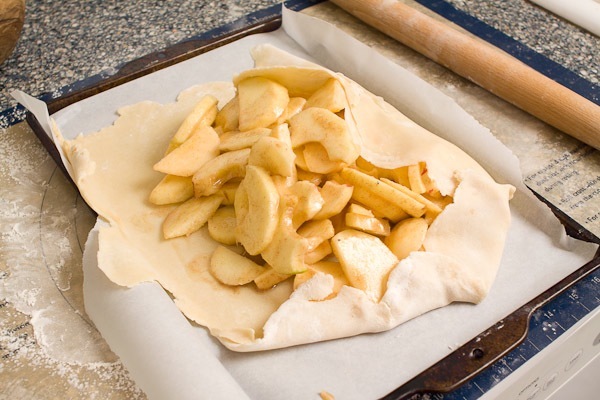 Fold the edges of the pastry over the apples. Patch up any holes that appear…you don’t want any juices leaking. The pastry will not cover the apples completely. If you want to make it pretty, beat an egg with a little water and brush it over the top of the pastry. Now sprinkle with sugar. Bake for about 35 minutes. The pastry and apples should start to brown. 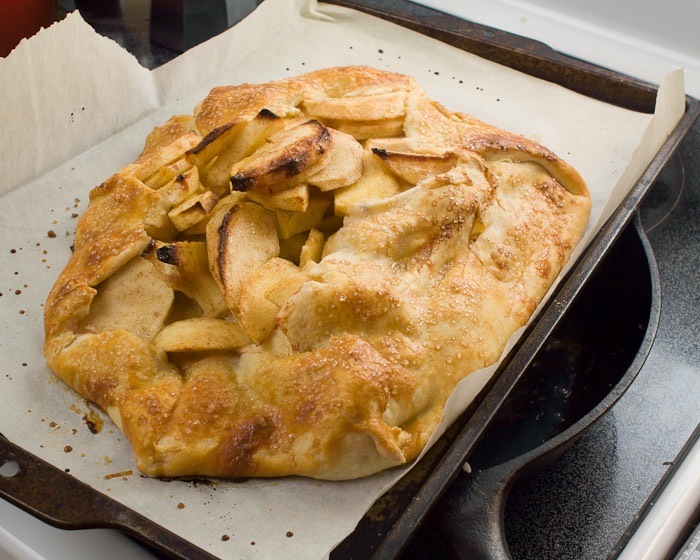 Do you have the recipe for ATK rectangular apple galette made of all purpose flour and Wondra? Thanks. Great site! 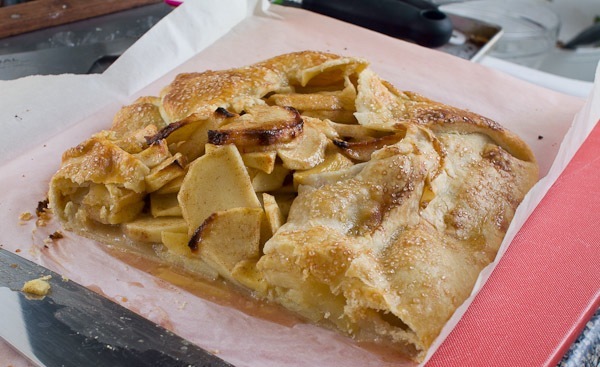 Thank you for the Apple Galette recipe! It’s so nice to be able to make a tasty homemade crust for apple pie without all the stress of making it fit into a pie plate. I prefer this rustic, free-form style and it’s delicious. 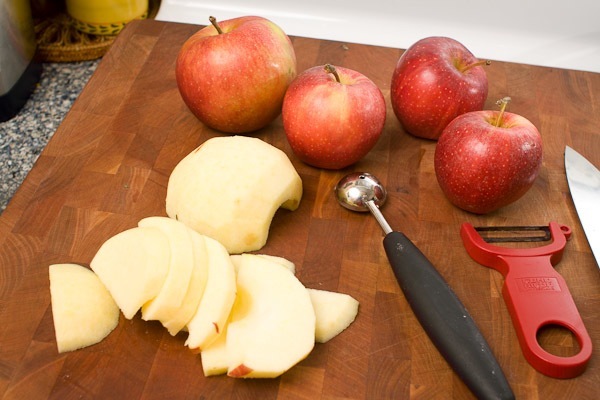 this looks GREAT, great alternative to apple pie! I can’t wait to try making this!